It is now less than one week until Valentine’s Day! 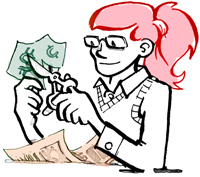 If you still haven’t figured out what you’re doing for your boyfriend or husband, don’t fear. 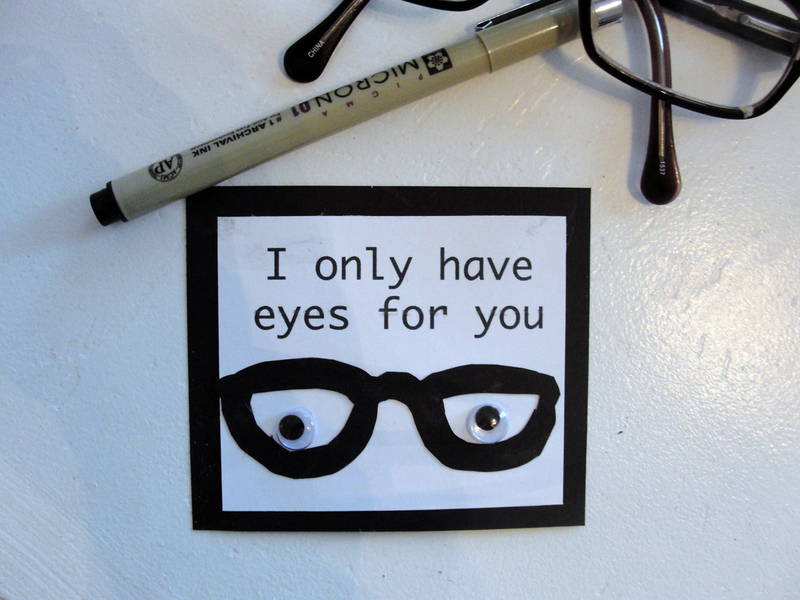 I’ve got some easy, but cute, Valentines that can be turned into cards or delivered with candy. 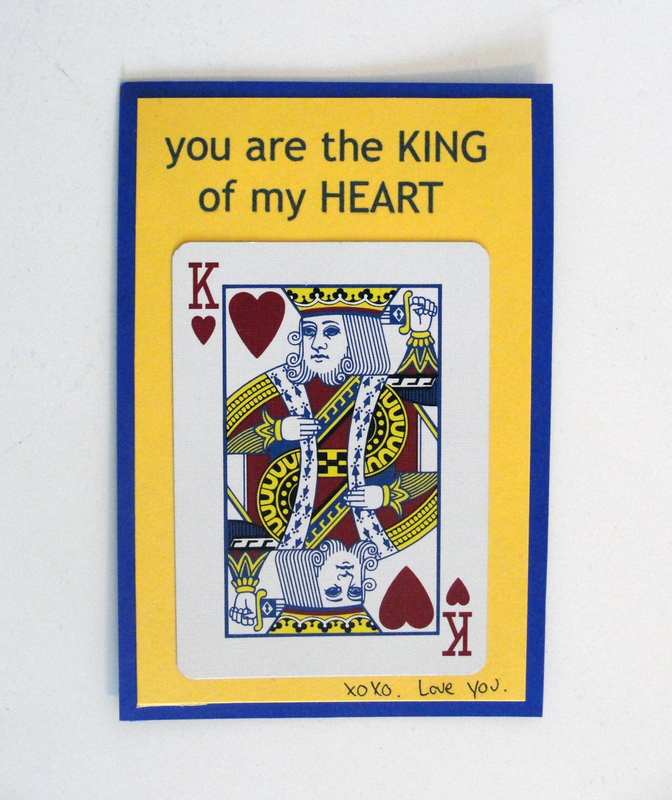 I particularly love this one, since George has been known to collect playing cards. The only bad part is that you’ll have to sacrifice a deck of cards to get the King. Oh well. I’m sure we’ll find something to do with the rest of the cards. 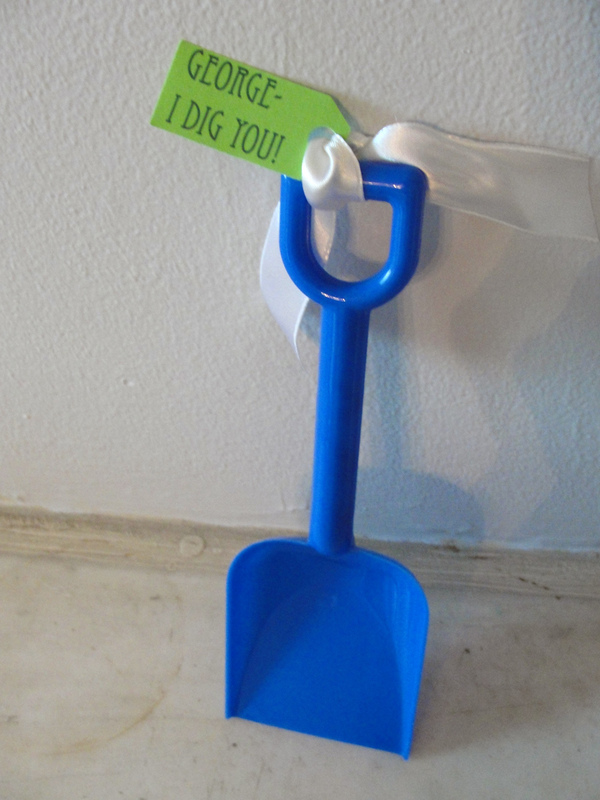 If you’re looking for something silly to give you hunny, how about a plastic shovel with the message “I dig you.” Or maybe you need a replacement snow shovel for the upcoming blizzard. Either way works. 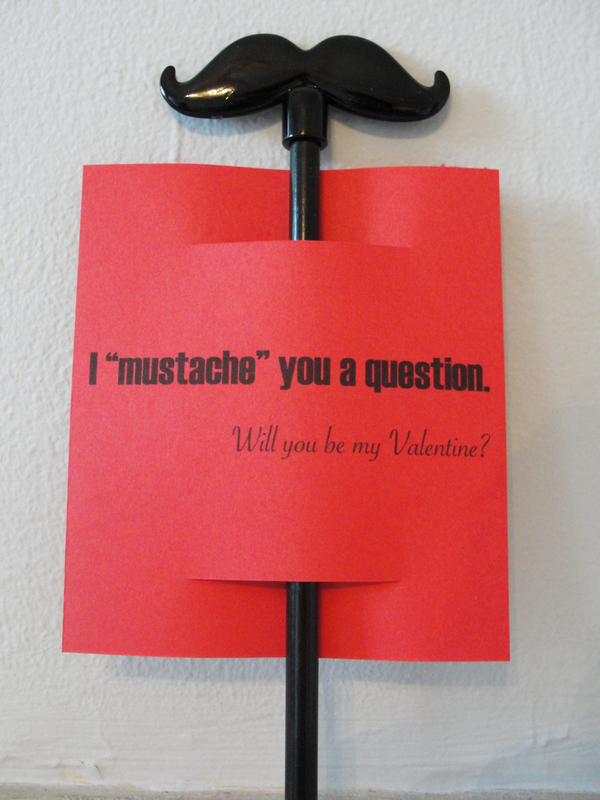 Being a glasses-wearer, I thought this was an adorable idea. It turned out a little creepy, but I love the unique design. I cut out the pair of glasses from black card-stock after tracing freehand, and hot glued those googly eyes. Maybe your man loves to fish. 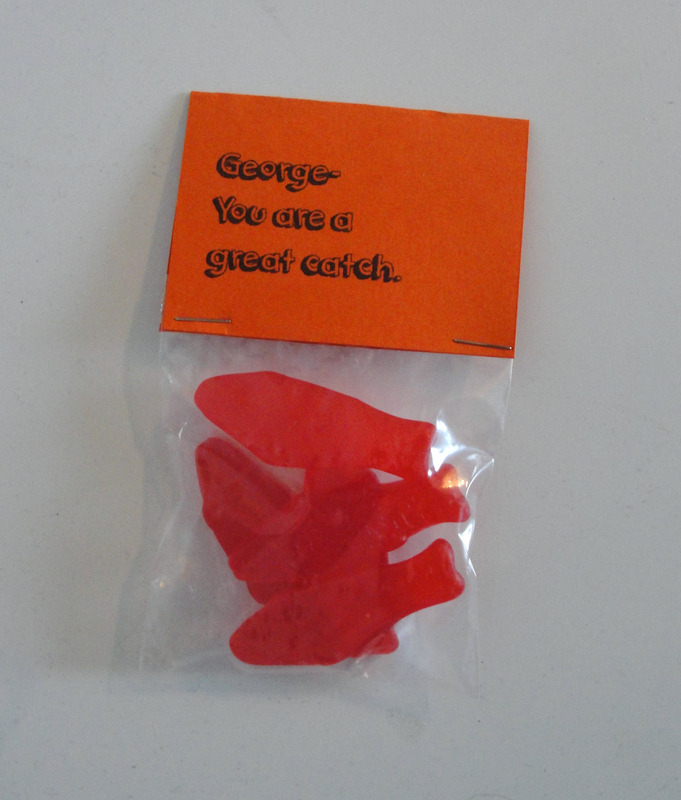 Let him know he’s your best catch by giving him sweedish fish or goldfish. When you just have to know if your relationship is true, you mustache (must ask) hard questions, like, if your lover will be your Valentine. I paired this slogan with a mustache-topped pencil. Hopefully you’ve found something to suit you and your relationship. If you’re cheesy like me and my man, I bet your guy will love these Valentine’s sayings. If you’re looking for more general Valentines, see my last post which has six other ideas that work for lovers or friends. 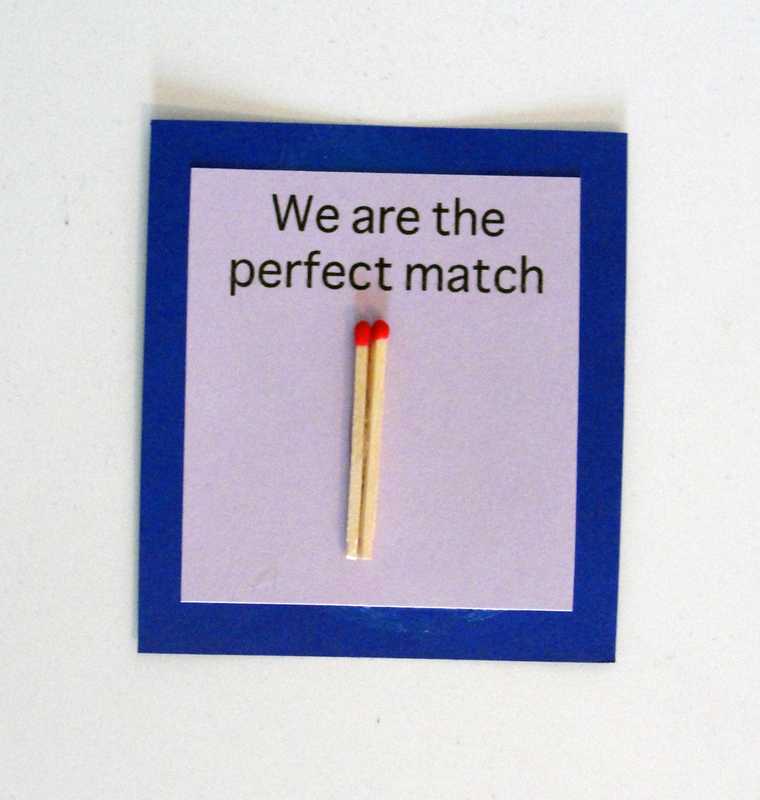 I’m thinking, “perfect match” with waterproof hiking matches…very cute. Thanks! I love the cheesy sayings. How cute are You?!?!?! These are great! Nice work.